The debate over possible intervention in the election should be based on publicly disclosed evidence, not unverifiable, anonymous leaks. The revelations of a CIA assessment charging that the Russian government interfered in the 2016 election in order to help Donald Trump, and Trump’s contemptuous dismissal of the charge as “ridiculous,” have set off another round of ugly, divisive commentary regarding both the legitimacy of the election and Trump’s alleged ties to Russia. Yet the charges of Russian responsibility for the e-mail hacks of the Democratic National Committee and of Clinton campaign chairman John Podesta have been repeated so often and so emphatically that it’s become easy to forget that they have yet to be conclusively proved. 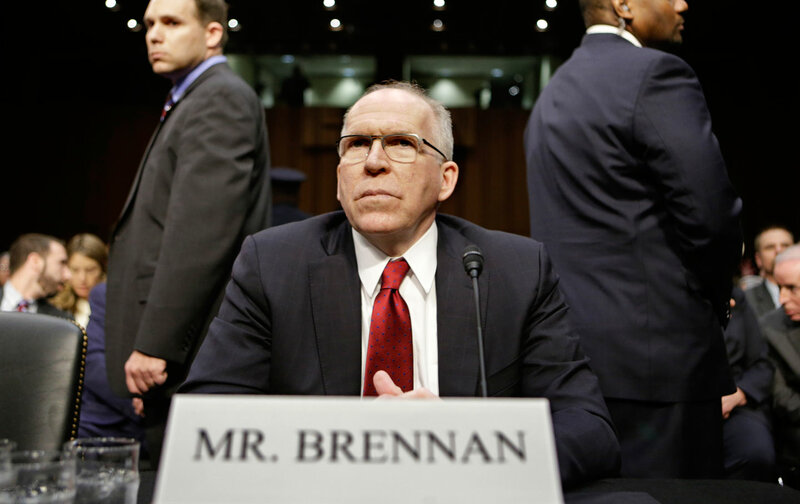 While the CIA asserts that Russia interfered with the election in order to assist Trump, it is by no means clear that the nation’s other intelligence agencies agree on all of the details. What is clear is that WikiLeaks managed to obtain a trove of often embarrassing and self-serving e-mails written by DNC officials, Clinton campaign operatives, and media elites. But exactly how did it obtain them? Were they leaked, as WikiLeaks founder Julian Assange claims, or were they deliberately stolen by Russian hackers? We still don’t know for sure. What we do know is that Podesta fell victim to a common (and obvious) spear-phishing ploy, and that the DNC’s system was penetrated by what is widely believed to be a group of Russian-speaking hackers associated with the Russian government. Yet the nature of that association is far from clear. Even so, we find it troubling that these charges of Russian interference are serving to distract from the very real domestic challenges that threaten our democracy: growing voter suppression, the influence of corporate and dark-money PACs, gerrymandering, and an anachronistic Electoral College that, twice in the past 16 years, has undermined the preferences of American voters. Nevertheless, the current debate, such as it is, has been plagued by a disturbing trend—and it’s one that we’ve seen before: If you express doubts about whether the Russian government hacked the election, or question whether the hacking rose to the level of undermining our electoral system, or simply demand evidence for this tremendously significant allegation (some people making it allege “warfare” by a nuclear-armed country), you are labeled a Trump apologist, a Putin puppet, or both. Yet McCarthyite allegations and smears only serve to prevent an urgently needed reevaluation of this country’s Russia policy. At a very minimum, we ought to seek evidence and proof before indulging in character assassination. Skepticism isn’t treason; instead, it’s essential to establishing the truth. Keep in mind that the CIA’s assessment hinges on whether the Republican National Committee was also hacked. As of this writing, this is still in dispute. Right now, all the evidence we have amounts to faith-based attribution. We need more. At his year-end press conference, President Obama told journalists, “I want the report [on the alleged hacking] out, so that everybody can review it.” We welcome this step and call on the president to declassify the evidence against Russia as quickly as possible. The current debate over possible foreign intervention in a US presidential election should be based on publicly disclosed evidence, not on competing and unverifiable anonymous leaks from the intelligence community. Further, we call on the president to convene an independent commission, composed of experienced Americans, to investigate the allegations of Russian hacking. Such a commission should review the classified intelligence that the CIA used to make its assessment and then formulate recommendations on how to strengthen our cyberdefenses to prevent future disruptions. Let’s have some proof—and then let’s get on with the hard but necessary work of de-escalating the new Cold War, bearing in mind that it is neither pro-Trump nor pro-Putin, but simply sober realism, to argue that we need to partner with Russia on a host of issues, ranging from combating terrorism to promoting and enforcing nuclear nonproliferation. The need for cooperation, as we have seen, is particularly acute in the area of cybersecurity, where the United States and Russia have failed to sign a binding agreement. This is the moment to press for a global accord banning state-sponsored cyberattacks, whether on power grids or electoral systems.